Adding a member of staff will allow them to have individual access to Venuemob Manager. Once you've logged into Venuemob Manager, click on the sidebar icon Settings > Staff. 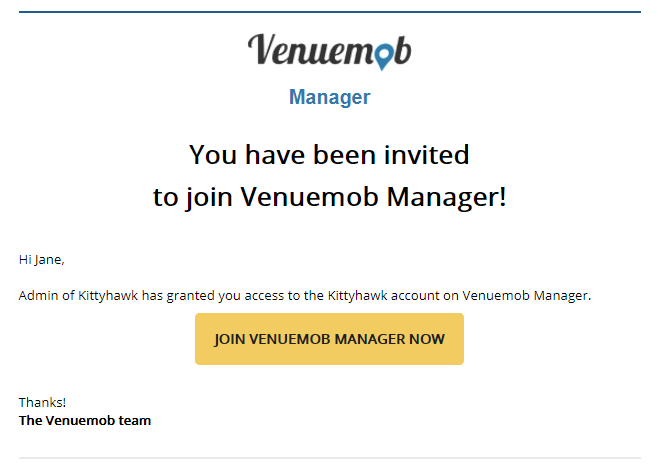 You'll see a list of the current employees who have access to your venue's Venuemob Manager account. Each staff member can log in using their own email. That means your account can have multiple logins! Click ADD to invite a new staff member, entering their credentials. That staff member will then be sent an invitation to set a password and login to the email address entered by you. If you'd like to add staff members to multiple venues, you'll have to toggle between venues and then head to that venue's 'Staff' section. 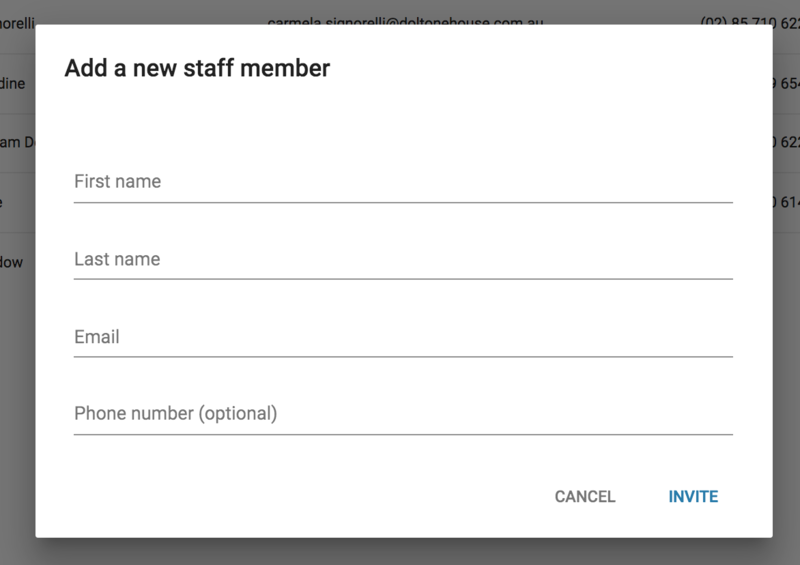 If need be, that staff member will be able to update their phone number by heading into their account settings and editing it there. To assign that staff member to a specific enquiry, just head to the main enquiry view, listing all enquiries for that particular venue. Click 'Assigned to', and select that staff member.